At Mile High Acura, we offer competitive financing rates and terms on our great selection of new Acura cars and SUVs — as well as on used trucks, cars, and SUVs. Count on Acura financial services to guide you through the process of buying a new Acura RDX or Acura MDX in the Aurora area. Our finance experts are here to guide you through the financing process – from calculating your interest payments, to calculating your loan payments – and we’ll help you get into your new vehicle. 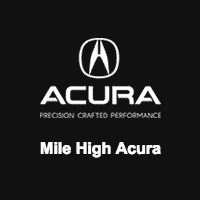 Contact Mile High Acura’s finance team today. Or, if you’re ready to start the financing process, you can fill out our secure finance application online.